A new year often means it’s time to refresh your work environment. 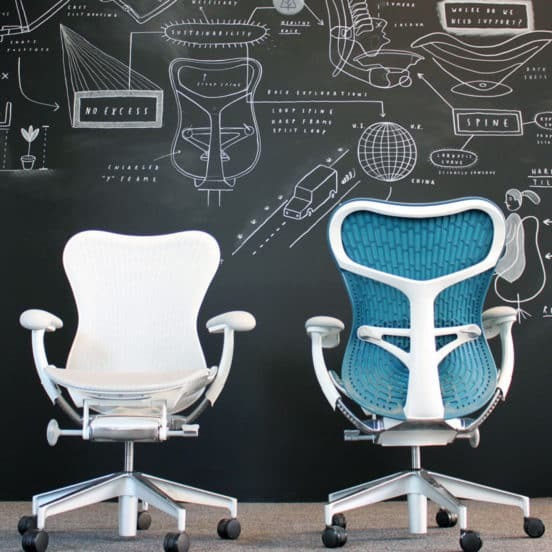 We reviewed six new chairs that are good for design pros. Read on to find out which one is the best investment for you. Apple has often led the way in design trends, and furniture designers Barber & Osgerby were asked to create an original chair for the way Apple’s employees work now. The result was The Pacific, which strove for “full performance, quiet design.” The most significant feature is the backrest, which extends down far enough that its component parts are not even visible from behind. The chair was created so that users could also sit sideways. The designers say they were focused on how people work now – in collaboration with each other, in team settings, using the office as their second home. A loose-fitting chair, the Knoll Generation uses the open-mesh back to create a lightweight chair. Unlike strong chairs like Steelcase, the Generation is like a soft mattress. This is perfect for larger people who want more support, but shorter and smaller people may feel like the chair is swallowing them. If you are the type of person who likes highly adjustable arms, the Generation will fail your test, since you are basically stuck with the arms as they are. The chair also lacks lumbar support. 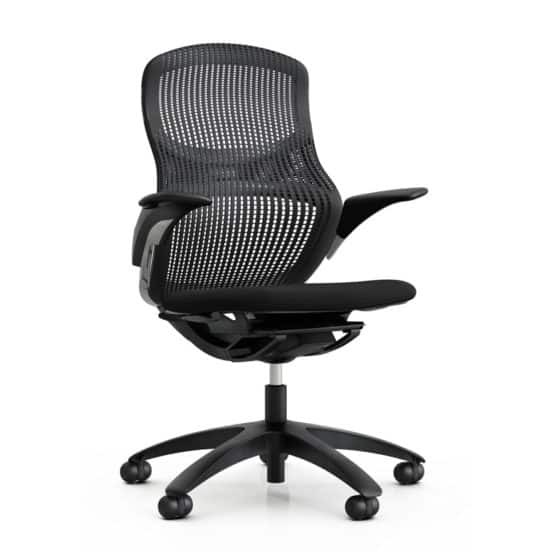 Steelcase is a legendary name in office chair design, favoring sturdy, thick chairs that are highly adjustable. Its most modern chair, the Gesture, is an updated version of its classic chair. All of the controls have been moved to the right side of the chair. The arms are very adjustable: they have very thick pads which can swivel in tight to the body, or be pushed out far away from the body. Steelcase chairs are heavy beasts that work best in difficult environments. 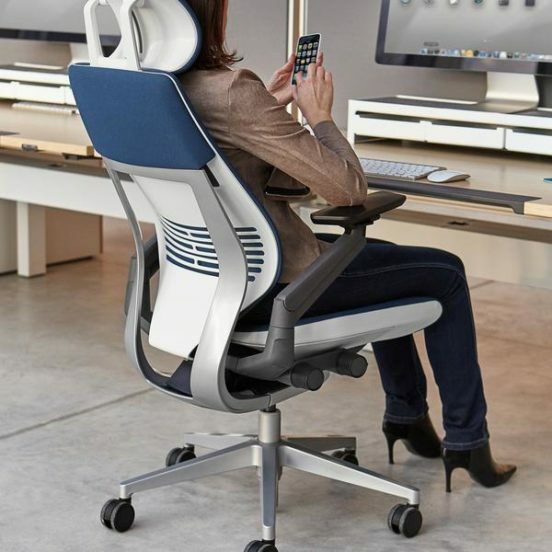 This is not the chair for people who like to scoot all over the office. 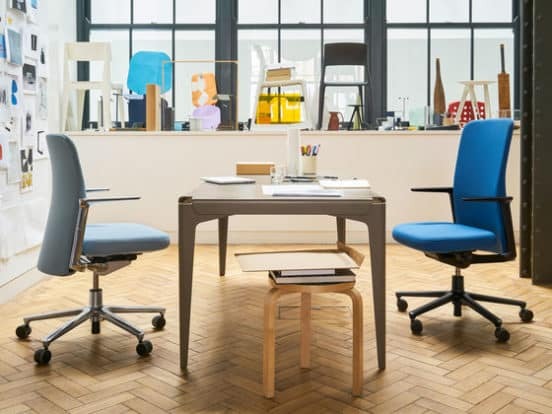 At the other end of the spectrum is The Mirra 2, a revamped version of Herman Miller’s hugel popular task chair. A task chair is light and pliable. There are many ways to adjust this chair, almost too many, but it means that the chair will be comfortable for almost anyone. Despite its use of mesh, The Mirra 2 offers good support for the back. It is highly maneuverable for people who are constantly on the move. The complexly-named “Humanscale Freedom Headrest” is definitely designed to make a big splash in the boardroom. It is designed for executives who are more likely to kick back and relax in the privacy of their own office. That’s primarily because of the giant headrest, which gives great support for those who like to lean back. The problem is if you hate headrests, then this chair will be a pain in your neck. The recline function is also meant to engage if you just lean back ever so slightly. Again, Humanscale says this is by design, to encourage you to lean back. 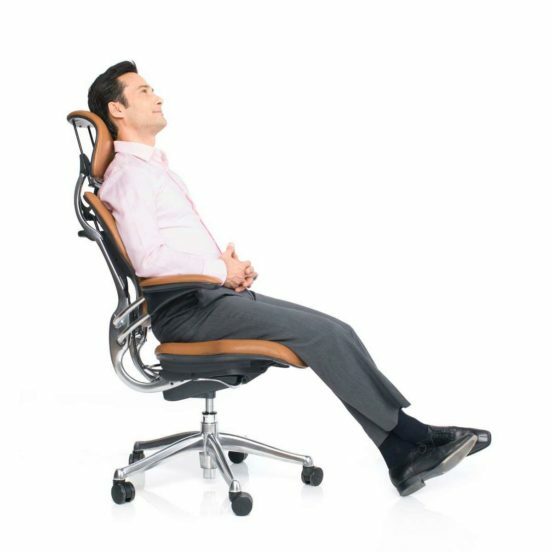 The Freedom chair is best for executives who are not on a deadline. If you can afford it, the Zody Executive is the best looking chair out there, with its leather covers that look homey rather than ostentatious. The chair is highly adjustable and compact without being tight. It has excellent lumbar support, which can be changed according to your needs. The asymmetrical lumbar support is perfect for those who like to move around, cross their legs, or sit on one leg.